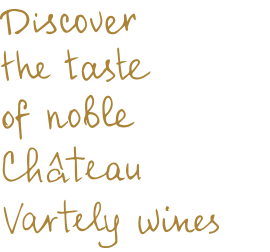 Liqueur wines Château Vartely are sweet dessert wines with the charm that leaves a pleasant sensation. The expressive bouquet of aromas surrounds you with an elegant spring breeze. Fruits and desserts complement the sweetness and flavor of wine. Liqueur wines are characterized by several important factors – alcohol content ranges within 15-22%, and sugar content – 16-20%.